IT IS ALWAYS SURPRISING how quickly time flies by, especially if you are busy. I can’t quite believe 2011 is half over. Where has June disappeared to? Time is running too fast, I think I need to challenge myself before the year ends. I've looked up Fashion Design courses, but I think i need to know first the basic sewing, like on how to cut cloth, draw patterns and USE THE SEWING MACHINE! I wanted to ask my mom to take me as her apprentice, but unfortunately she is waaayyy too busy in her dressmaking job and taking care of us. She run our home like a work shop and she sewed a lot of my clothes. I have told you that my mother was the worlds best dressmaker, well you should have seen her at work. (I know I'm lucky! )Her customers use to bring copies of Harpers and Vogue type magazines and point out the dress or outfit they wanted and she would make it for them. Great, right? I wanted to be like her. I want unique dresses and I want to make it myself. 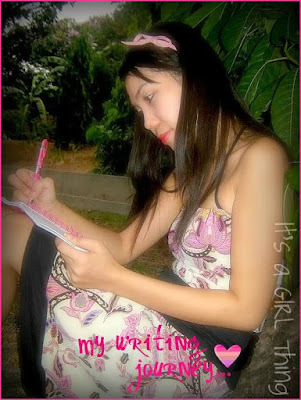 I started writing for Triond in March 2008. I liked Triond immediately, and felt a connection with my fellow Triond writers. So I started to spend more time writing for Triond and I was happy and received a lot of great feedback and I earned a lot. Everything seemed to be going well for me on Triond, but by the month of March 2011, I can't get anything done because I got addicted to Facebook application such as CitVille, Frontierville etc. 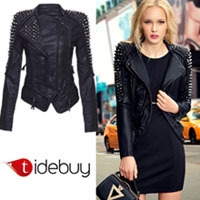 I'm also selling Korean apparels online which takes me a lot of time to upload new products and answer all of my customers query all the time. In my opinion, having a set writing schedule is a vital part of becoming a professional writer. I wanted to be more serious now and to submit two articles a day if possible. I absolutely LOVE Triond and I know that through hardwork and perseverance, you can earn a living writing for them! Learning a foreign language can make a difference in your life. I love South korea, I love their fashion, their culture, their country and all, but Korean language is such a difficult languages, because of the phonetic. Korean phonetic is so difficult! 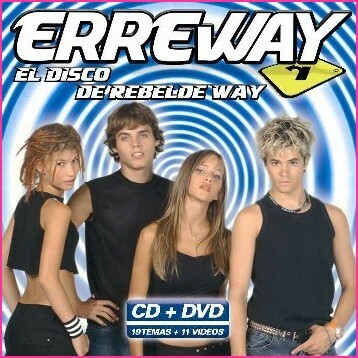 Erreway the best band in Argentina -- i really love all of their songs! But back to the subject on hand, I can understand and speak a little Spanish but I want to be more fluent now. Not like other languages, Spanish is the easiest one. Many languages use a character set that is completely different and removed from the English character set we're used to. Spanish, for the most part, uses the letters written and shaped exactly as the letters we've been using all our lives. For the most part Spanish word order and sentence structure are very similar to English and also Tagalog. For those of you who are interested (and can read Spanish) you can look up the Spanish Wikipedia regarding the influence of Spanish in Tagalog (it would seem 5000 out of 8000 basic words are of Spanish origin). The Philippines have been under Spanish rule for 300 years, no wonder we have been very influenced by Spanish culture and language. ¡Qué tengas un buen fin de semana! ¿habla usted español? Well, that’s all for now... I hope I don’t let myself down. How about you? What are the promises you have made to yourself? Would you care to share it with me? I am sure I can help you stay on your track by regularly motivating you.